Unfortunately the World Wide Web did not have a built in language for video back when it was created, so web browsers were unable to play or embed videos without a third party plug-in/software application. Now with HTML5, you are able to add native video to your web pages without needing a third party software installed onto your computer/web browsers. - you will have multiple of these within the video tag with multiple different file formats. The video will look at the first one that will work; if all won't work then the video will not play. <video src="my-video.webm" width="400" height="200" loop></video>. In addition to the above attributes you can also add in a mute and auto-play attribute that will either instruct the browser to mute the video when the page loads, or auto-play the video. 1.Choose the language of your HTML5 document. 2. Place a header and add a title. 3. Then use the body element to add in your video attribute. 4. Choose the dimensions of your video, and the sources for the browser to play from. 5. Add in the control attribute. 6. Choose whether you want to have the poser, mute, and auto-play attributes available. 8. End the document with: </html>. HTML5 will allow a lof of web developers and people who code their own web pages to add in native video without requiring a third party application. All major browsers will support at least one of the three format options, and will have fall backs such as Flash if required. 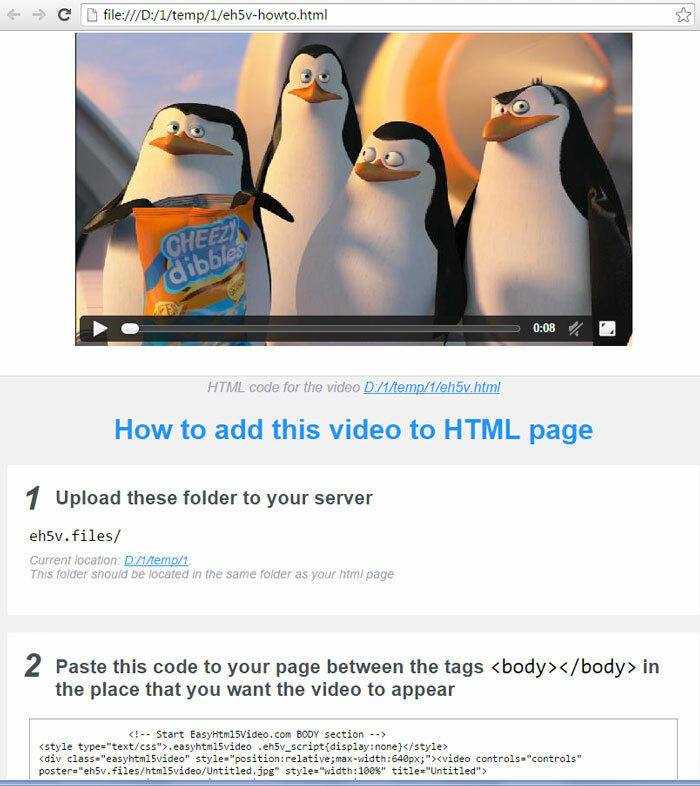 If you are looking for an easy place to start with HTML, please check out EasyHTML5Video at: http://easyhtml5video.com.